Articles that capture our commitment to our Vision and Values. 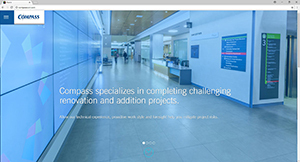 Toronto, ON - July 17, 2018 - Compass has launched a newly redesigned website with complete mobile-responsive functionality for today’s variety of devices. Check it out at www.compasscon.com. 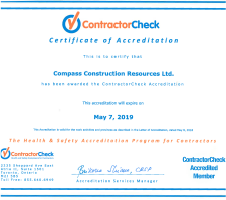 Toronto, ON - May 17, 2018 - Compass is proud to be re-accredited for the 6th straight year by ContractorCheck for our ongoing commitment to health and safety.